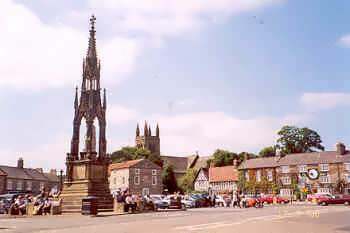 Helmsley is a picturesque market town at the eastern end of Ryedale and at the head of the Vale of Pickering. Local attractions include Helmsley Castle, an open air swimming pool (which is open during the summer months), Rievaulx Abbey, Byland Abbey and of course the wild beauty of the North York Moors. Helmsley is also the starting point of the Cleveland Way long distance footpath. The North York Moors website is designed, maintained and promoted by Eagle Intermedia Publishing Ltd.